I really don't have a decorator bone in my body. I'm OKwith leaving my furniture in the same location for years. 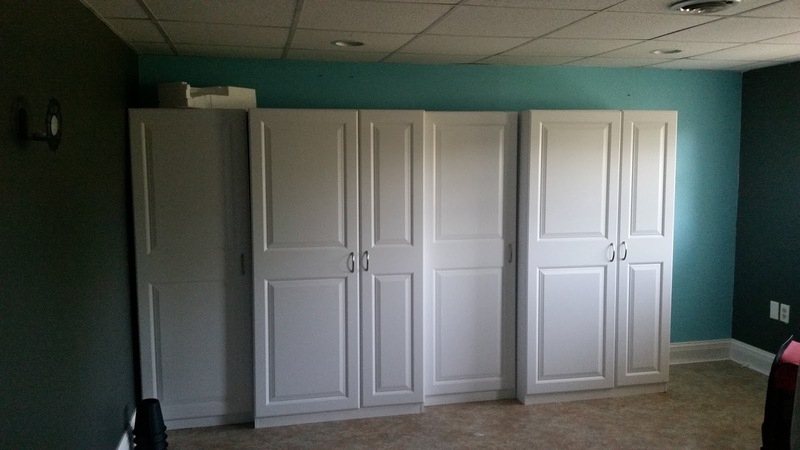 When we bought our recent home near a lake, I earmarked a girls bedroom downstairs to be my sewing room. Keep in mind that I have not sewed for a while. However, that does not mean that I got rid of all of my stash or craft items. No, I packed it all up and moved it to our current home. 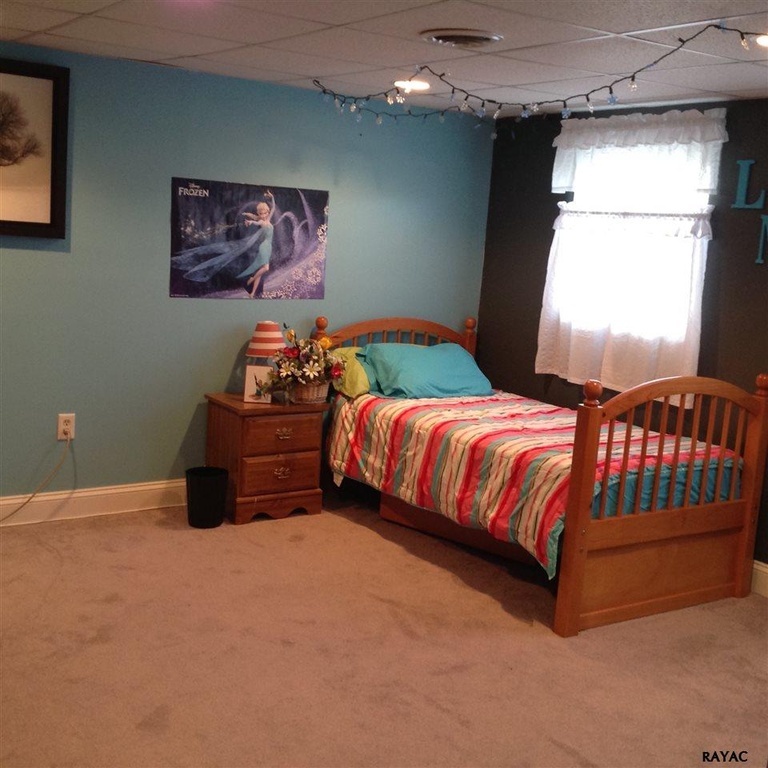 Here is how the room looked on the realtor listing. Not my favorite colors but I'd rather work with the colors than repaint the room. I really dislike painting. The room was listed as being 16.4 by 14 in size. I can work with that. We removed the carpet and had linoleum added to this room. This was the dogs room when we first moved into this home last year and we went to work. I was able to look in on the girls through a camer. Plenty of room to roam for them. The dogs were not a fan of it but it helped in the year that we had them at our newer home for their last year. I built one more of these cabinets for the right side of the wall. They came from Lowes. They will house as much as they can but mostly fabric. Stay tuned for more photos from the craft room setup over the last couple of months.